Live resin is a type of butane hash oil that is extracted from fresh cannabis plants frozen immediately after harvest. Cannabis plants that are still fresh contain a different collection of terpenes than traditionally dried cannabis. This freezing of fresh plant matter results in more water content than is typical of concentrates made from dried and cured cannabis plants. Butane is water soluble above certain temperatures. 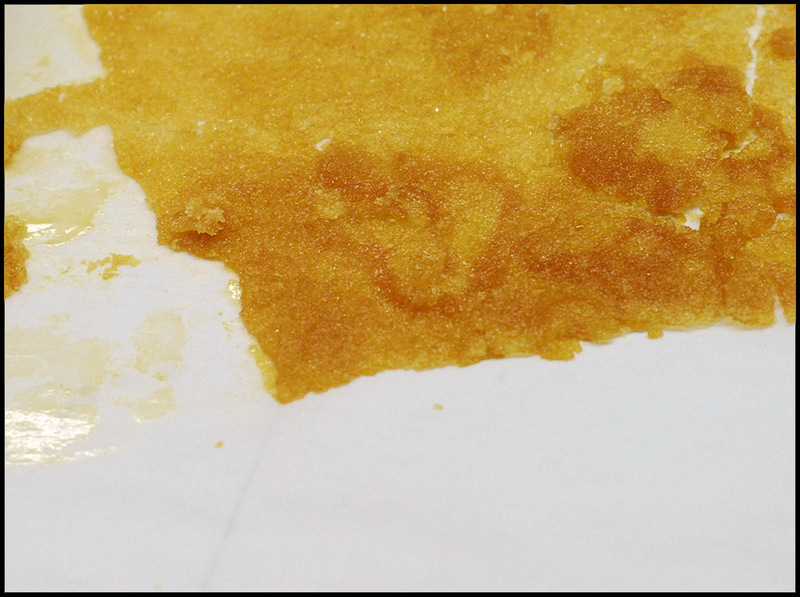 To prevent contamination, live resin is extracted at very low temperatures. Extractions of fresh, frozen plant matter must be made between -20 and -50 degrees Fahrenheit to prevent toxins from the Butane polluting the extract as the frozen cannabis plant is washed in the solvent. The final step is vacuum drying of the extract to remove the remaining butane and other impurities. Keeping the extract in a vacuum chamber allows the temperature to remain lower during this boil-off process. The cold, fresh extraction process produces an extract that contains more terpenes overall and far more of the lightweight and volatile monoterpenes like Myrcene and Terpinolene that would be otherwise lost by normal, high-temperature drying and curing processes. Terpenes are some of the most pervasive organic compounds in nature. Insects and plants both use them for signaling a variety of things, including to fight predators and encourage pollination. Trees even emit terpenes that encourage water vapor to form clouds. All organisms use some types of terpenoids as part of the process of synthesizing new cells and other biological compounds. Terpenes are the primary therapeutic content of essential oils like Lavender. When consuming cannabis, terpenes are valuable because they modify the effect of the primary cannabinoids like THC and CBD, as well as being therapeutic on their own. Live resin’s cold extraction process results in a product that has a more complex therapeutic effect and a more finely detailed high.